As the weather finally starts to warm up again, hiking season is just around the corner. Spring is about to be sprung, and finding the right clothes for the season is vitally important. Fit, comfort, durability, and price all play a role in choosing the best hiking pants that suit you. 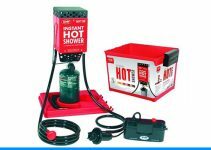 The ten products listed below all stand out in at least one of these aspects. Both men’s and women’s pants are listed, ranging in price from 20 to 200 dollars, with different pairs tailored to suit different needs. So whether you’re hiking through deep snow, the open desert or the still-thawing mountains, there’s something to fit you perfectly. 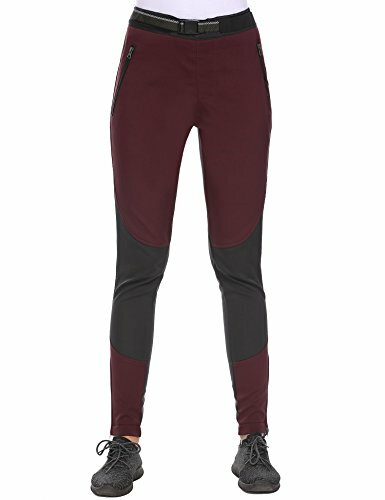 A lightweight softshell pair of pants, the Binhome Ski Pants are flexible and easy to move in, and the warm interior lining ensures that you’ll be warm even in cooler temperatures. These pants are sturdily built and double lined with a soft polyester internal layer to trap body heat, but the water-repellent outer layer is still light enough to not feel stiff. The exterior lining is not fully waterproof, but water resistant in case of rain or other inclement weather, and the pockets are zipper closed, so that you won’t have to worry about losing your keys or other accessories. With its reinforced ankles, waistline, and boot gaiters, these pants are serious about keeping you warm. 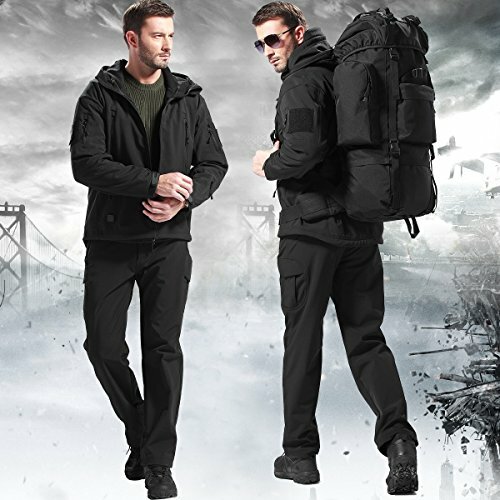 Like the previous entry on this list, the Arctix Men’s Cargo Pants are lightweight and not very bulky, with an adjustable waist to ensure a comfortable fit and ThermaTech insulation to trap body heat. Despite its lightweight nature, however, the Arctix pants are built to hold up to the daily wear and tear of any outdoor trail, with an attached D-ring to hold keys or a pair of gloves and multiple zippered pockets to keep your hands warm even when the temperature is dropping. FREE SOLDIER prides itself on providing high quality outdoor gear, and these water resistant pants are certainly no exception. 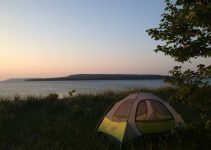 Despite the relatively low price, the hiking pants compare favorably to outdoor retail stores’ options, and are perfect for a variety of outdoor activities like fishing, hiking, or camping, regardless of the weather. The fleece tech fabric of the interior lining is breathable and antistatic, to keep you warm without being clammy or staticky, and the waterproof fabric repels stains, spills, and soils, as well as ordinary water damage, so that you’ll be warm and dry even on the wettest of days. 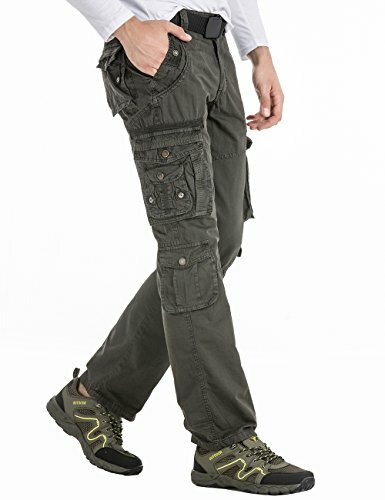 Cargo pants can tend to be either hit or miss, but HHGKED’s Men’s Cargo Pants are guaranteed to be a hit. With a classic look that makes them equally suitable to everyday wear as they are to dedicated hiking, these pants are 95% imported cotton, with enough durable cargo pockets to hold everything you need for a day on the trail. They can be a little bit stiff upon first purchase, but once broken in, these pants are durable enough to bear up under repeated washings without fading, and are ready to hit the trail as soon as you are. With two and a half layers of laminated waterproofing, these pants are durable enough to hold up to even the harshest of early spring storms. The seams are welded, the zippers are waterproof as well, and the internal belt system combine to make sure that there aren’t a lot of ways for water to get in. 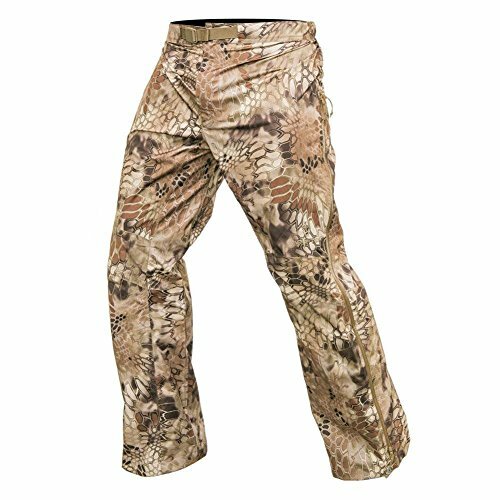 The full zip leg entry aids with ease of access, so it will be easy to wear these sturdy rain pants over a pair of warmer pants or leggings/long johns, just for added insulation, and the camouflage pattern is perfect for hunting or hiking alike. Thanks to the micro fleece-tech lining on the inside as well as the outside, the Kryptek Men’s Insulated pants are as quiet as they are warm, perfect for a contemplative day out on the trail. 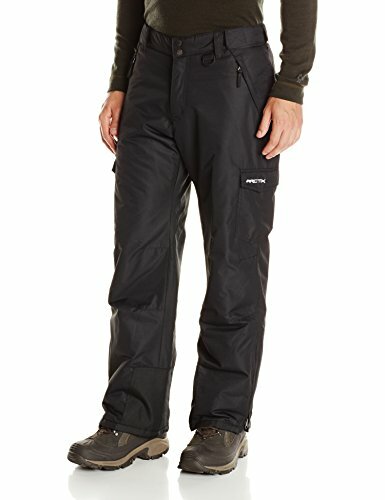 With pockets to keep your hands warm and a soft outer lining that is nevertheless fairly resistant to picking up any burs or stickers along the path, these pants serve as a perfect base layer to a warm hiking outfit. All of the pockets zipper shut, and with wind and waterproof construction, the fleece pants will be sure to keep you warm no matter the temperature outside. 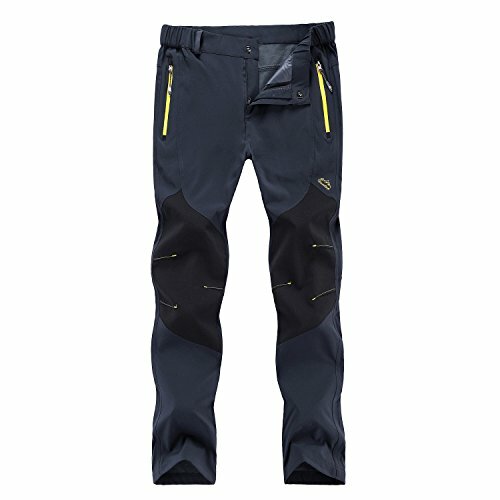 With a sizing chart that runs fairly accurate, these lightweight hiking pants are perfect for layering, or for days when the temperature fluctuates between hot and cold, and as comfortable as they are stylish, with design inspiration being drawn from military and law enforcement performance designs. As promised, they draw quickly, even if they aren’t fully waterproof, and are water-resistant enough for a day out in the mountains or just for backpacking around town. Thanks to the zippered front pockets and roomy fit, these pants are easy to build an outfit around, and ready to stand up to repeated wears. Cut slimmer than the more traditional snow pants, TBMPOY’s Waterproof Softshell Fleece Snow Pants are good looking in addition to being durable and comfortable. With an interior fleece lining and a waterproof exterior shell, these pants are perfect for a day hiking in any weather, come rain, snow, or sunshine, and stand up to tough winds without a problem. Delivery is pretty quick, too, which is great for when you just want to get away for a few days, and the included belt helps adjust to make sure that each pair is just right for the way you choose to wear it. For days when it’s too warm for full pants, but too cold for hiking in shorts, the legs of Columbia Sportswear’s Saturday Trail Pants can roll up and snap into place in order to convert to capris. Like the previous entry, these pants are a slim cut and come in a variety of different colors, and the pant legs stop right above boot level, for an integrated pant line, and allow for a wide range of movement when clambering over trails. 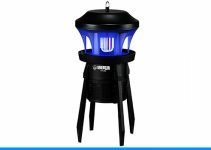 The durable build also holds up against rockier terrain, and dry quickly after light exposure to water or rain. 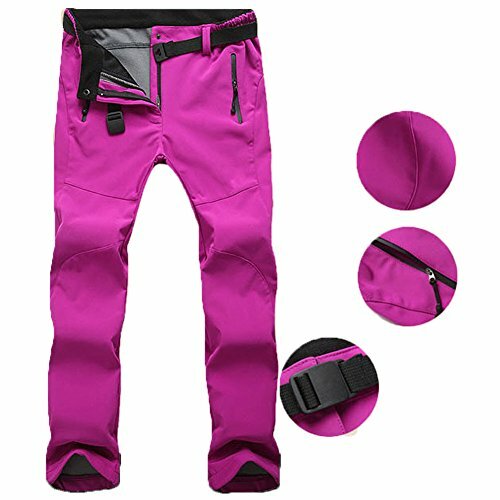 With a bright, block color design and a slim cut fit with an elastic waistband and inlaid belt, the Coorun Women’s Hiking Pants are perfect for keeping warm and looking great in any variety of outdoor activities, even as the temperature begins to drop. Zippered pockets keep your hands warm and ensure that you won’t lose track of any small items, and the double layered construction holds up against water and wind in equal strength. Side zippers at the bottom of each leg allow for easy access or removal, and tuck easily into even the most heavy duty hiking boots. When choosing a good pair of hiking pants, it’s important to know ahead of time the style and fit you have in mind. Some of the best hiking pants on this list fit tighter around the hips or waist, while others are looser and designed to be worn with multiple layers. Make sure you have a general idea of which you prefer before you start looking. A tighter fit can be better for when you want to travel light or are concerned about weight of bags or packs, and can also be more flattering than looser-cut pants. Looser fit pants, on the other hand, can allow for a greater range of motion, and also allow for layering of multiple sets of leggings, thermals, or other warm undergarments. Destination is another one of the key factors to consider when shopping for hiking pants, in that the destination will determine the construction of pants that you’ll want to consider before choosing a product that you like. If you’re headed to a cold, snowy, or mountainous region, waterproof pants or pants that are more likely to hold up to abrasion, wind, and weather are crucial. You may also want to consider purchasing gear that allows for the protection of small items like keys, wallets, or gloves, as the cold weather and presence of any wind or rain will make it difficult to fumble around looking for these items. If, on the other hand, you’re heading out to the desert, try to look for the best hiking pants that allow for a wide range of temperatures—cold at night and in the early morning, and very warm during the day—as well as materials that can hold up well against the grit of sand, dust, and gravel. Lighter pants are obviously more suited to this environment than full snow pants, but it’s still important to look for a pair of pants that allow for good insulation. In the same way,try to look at the environment of your destination before you purchase your pants and plan accordingly. This last aspect could almost be considered part of one of the other aspects, but durability is important enough to warrant its own entry. Depending on the destination you have in mind for your hiking trip, make sure you’ve chosen the best hiking pants suited to the elements you will encounter. In addition, try to look for a pair of pants that holds up to repeated wears and washes, so that you can be certain of getting the best gear for the price you paid. Some pants tend to stretch out over time, so be mindful of that as well as you look for the perfect pair of pants. Many of the best hiking pants on this list are difficult to size, so make sure you take a careful note of the sizing charts that most of the sources provide. Generally, it is advisable to buy heavy pants a size or two larger than what you usually wear, and layering up underneath it if it proves too large. Again, sizes can vary greatly between different providers, so while you may be a certain size in one style, make sure you take a look at the different sizes for another style.